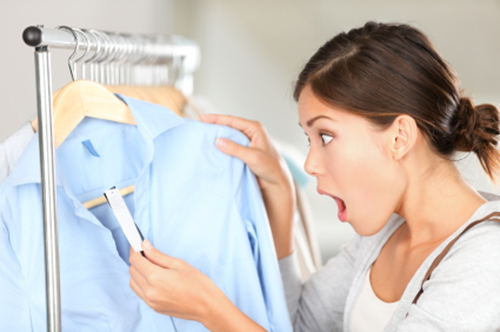 Is price sensitivity hurting your sales? Are customers rejecting your product or service? Do you know why this is happening? If you have a great product or service that’s not selling, it’s likely a problem of price sensitivity. Customers are balking at paying your asking price and you know it’s a fair price. If there was ever a time to know your niche and your audience, the sales floor is that moment. It’s time to learn about price sensitivity, and what to do to help customers overcome it. High price sensitivity means that customers will easily reject purchasing your product or service based on prices they deem unreasonable for what they’d be getting for the money. Low price sensitivity means that they are more willing to pay more for your product or service. If you are dealing with customers that have high price sensitivity, you must be very attuned to what they want and expect, comparable competition, and how you can add value to your product or service in tangible ways that will override or reduce price sensitivity. The higher the price sensitivity, the more the customer is in control. Price sensitivity varies based on the industry, geographic competition, competitor marketing, personal emotions and needs of customers, and even economy. According to Kimberly Chulis, founder of Core Analytics, LLC, consumers go through a five-step decision making process before buying. Need recognition. The buyer realizes they are somewhere between an “actual and preferred state.” Whether it is because of marketing, advertising, or peer pressure, they want to buy. Information search. The buyer sets about to find more information on what they want to buy. Deliberation. Using the information gathered, the customer determines what the options are, and if there are other alternatives or things to keep in mind before continuing. This is where the price sensitivity can develop, and where you can lose your customer. Purchase. The customer determines what to purchase, and does. Post-purchase. The customer decides if this was what he or she wanted, if it was a good decision, if they have buyer’s regret, and if it’s time to return the product or ask for money back. Step three is where a customer decides whether or not to buy, and it comes after they’ve determined they need something, and they’ve done their research. It is during step two that price sensitivity can develop; customers can compare and decide whether your price is too high or if it is fair. Step five, particularly if a customer is having second thoughts, is where you can increase the value of a purchase through great customer support. Even if you refund a sale, handling it well at this point will build brand loyalty and reduce future price sensitivity towards your product or service. Is your product or service a dime a dozen? Is there no lack of competition for your product in the region or industry? A lack of scarcity makes it likely consumers will have more price sensitivity because they have more options. It’s easy to do online searches and compare prices and reviews. Products or services that are readily available make it possible to shop around more to get the best price. Customers who aren’t price sensitive will feel that the effort to find the lowest price isn’t worth the time. Convenience, loyalty, and immediacy matter more to them, and override the desire to shop around. If you’re just another fish in a packed ocean of competitors, developing loyalty will help you overcome price sensitivity. How do you measure price sensitivity? At what price would you begin to think product is too expensive to consider? At what price would you begin to think product is so inexpensive that you would question the quality and not consider it? At what price would you begin to think product is getting expensive, but you still might consider it? At what price would you think product is a bargain – a great buy for the money? The responses are then plotted, and determinations made. This doesn’t take into account other aspects (availability or other emotional needs, for example) that affect what makes a person buy, but it has a purpose in determining your product or service’s particular customer expectations. If nothing else, these are the questions that are sometimes unconsciously running through customer’s heads as they are faced with the decision to buy your product or service. What if you don’t or can’t survey potential customers formally, using the Westendorp approach? Can you still determine if your product or service is lagging in sales because of price sensitivity? Possibly. There are things you can do. Research. How do you compare to competitors (price and features) that are successfully selling? Research and find out. Ask. Call your current customers and talk to them. Ask them if they feel your product or service is a good value. Get their feedback. Pay attention to your customer support; you’ll get a good feel for what customers are thinking and whether they are feeling dissatisfied and tending towards leaving. Use social media to get an understanding of what customers are thinking. Read online reviews. Find reviews on your product or service, or that of your competitors. What are their customers saying? What is a pain point for them? Are they commenting that they’d buy again, or not? Don’t assume. Don’t assume price should always be based on the obvious, or based on what you need or value. (e.g. A longer ebook should have a higher price?) Learn who your customer is, as a person and not a generality, so that you can connect with them on an emotional buying level rather than getting into a price war with a competitor that neither of you can win. Blind guesses aren’t going to provide you with answers that will lead to solutions. Find out exactly what makes your customer buy with whatever tools you have at your disposal. Dropping the price to the rock bottom doesn’t always solve a problem, and often creates one. Mainly, you hurt your bottom line and you create customers that expect the lowest prices while still getting the high quality product or service you’d offered before you dropped the prices. If you increase your prices, customers see that as a negative even if the prices are still low or competitive with others. They’ve begun to perceive you mainly as a price point. Instead, you want to focus on building satisfaction and brand loyalty. Of having a quality product above all competitors, starting trends or creating a convincing or enviable story surrounding your brand. When faced with a multitude of the seemingly same products, people often fall back onto brand loyalty. In fact, the more products there are (more choices mean a more difficult decision), customers will often revert to a brand they know and trust rather than risk a brand they don’t know at a cheaper price. Too many options make decision-making difficult, and if a customer can rely on a “default” decision, they’ll take the easy path. Be that default choice. Consumers who buy based on anything but price (emotional reasons, for example) aren’t going to respond necessarily to issues of quality and benefits, but they still respond to brands. Self-assessment: Is your brand credible? Valuable? Easily identified? Is your brand confusing to your customers? Are your customers die-hard fans of your brand, no matter what? Focus on the quality rather than the price. Studies have shown that with the availability of search online, advertising price may actually increase price sensitivity. Customers start seeing things in term of price only. However, if customers are provided with quality information rather than price information, price sensitivity is reduced and quality becomes the leading factor. Tell your customers why your product is quality, and find ways to show it’s value outside of its price. Self-assessment: Can you compete on a price comparison level? If not, can you compete on a quality level? Would an uptick in pricing actually increase the perceived level of value? Emphasize your strength, and build value. Don’t undercut or undersell yourself. Focus on benefits, rather than features. Don’t give your competitor ammunition by turning things into a feature-matching war. You can certainly point out differences, but always retain your goals and unique flavor and not fall into the trap of becoming the Mini-Me of another competitor. Tell your customers about the benefits of using your product or service. Tell them how it will help them, how it’ll make their life better. They don’t care about a list of features as much as they want to know how it will benefit them. Self-assessment: What are the benefits your product or service offers your customers? Are they aware of them? Have you told them? Let them know; they might only see you as another price option instead of a way to make their lives better. Unless your product or service has scarcity going for it and your customers don’t have many options, you are in competition with other sellers and with your customer’s own expectations for what they assume they will get for their money. Get momentum going behind your brand, and you’ll reduce price sensitivity and increase sales.